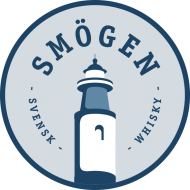 The first chance to taste single malt whisky from Sweden’s Smögen Distillery, has arrived. Produced in small batches in a 600 litre spirit pot still, the spirit has been matured in a combination of new European oak casks and former Bordeaux casks. Smögen Primör is heavily peated, powerful and rich for its age, natural in colour and bottled at a cask strength of 63.7% ABV. Commenting on the release Pär Caldenby said: ‘When I set out to build a distillery I was aiming to take inspiration from the best that Scotland, France and Japan could offer and make a very distinctive malt whisky, in fully traditional pot stills. The decidedly coastal location and use of heavily peated malt alongside virgin or first fill casks means a fast maturing whisky. Our first bottling, Primör, shows part of our progress to date and I am quite delighted with the result’. Smögen Primör is now available in the UK from The Green Welly Stop, Single Malts Direct and The Whisky Exchange, for a RRP of £160.